My niece recently graduated from High School and is headed to College soon. I still can’t believe it! 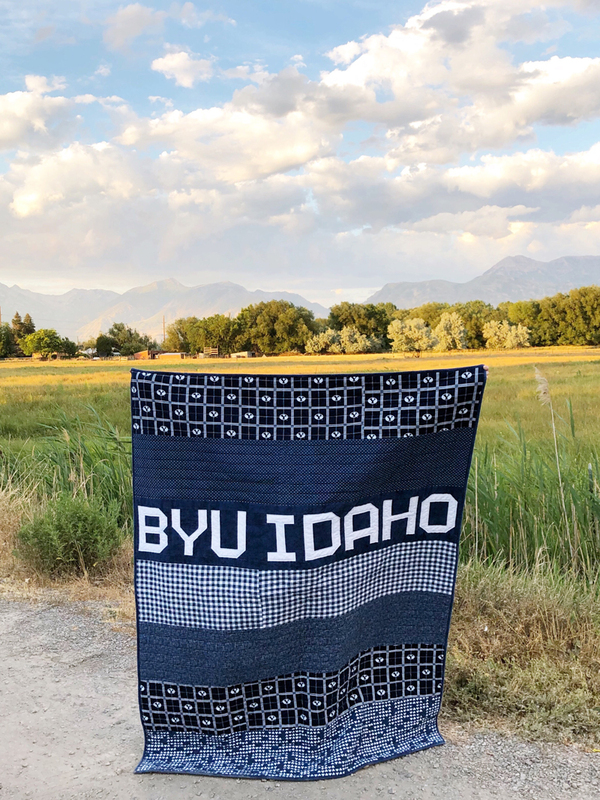 I wanted to give her a graduation gift, so here’s what I came up with. I started with my letters. I used the patterns from Spell it with Moda. It was a little tricky for me to find all the letters until I learned this trick. 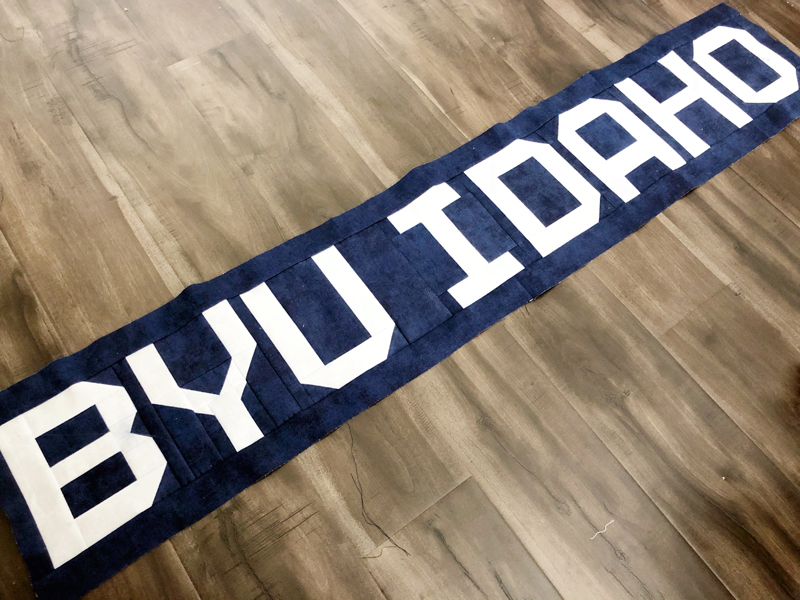 Copy this link: http://www.modafabrics.com/b_spellitwithfabric.pdf in your browser and change the letter to the next letter you need. 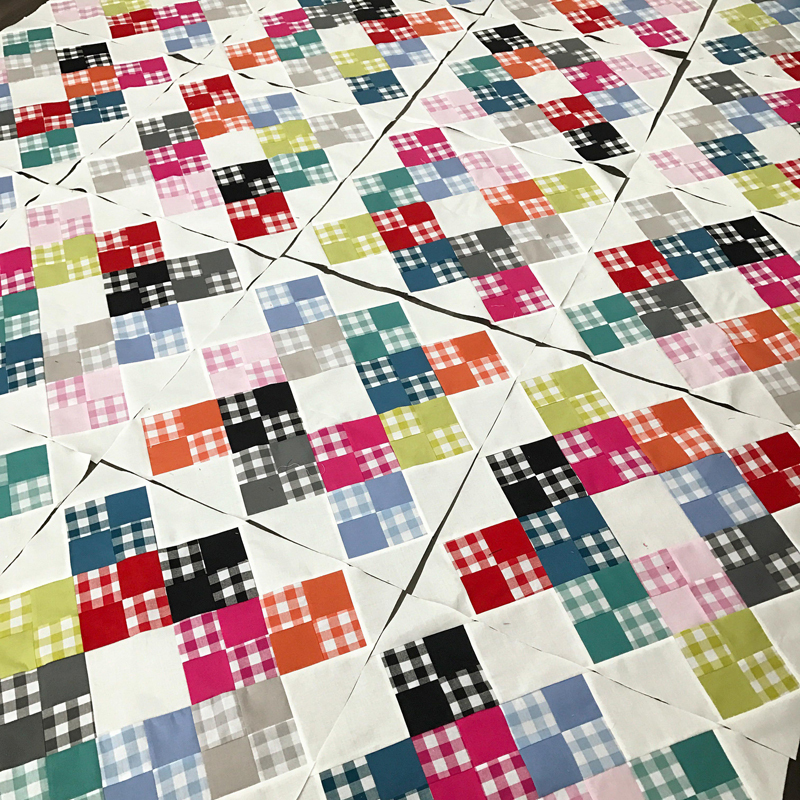 After I made a letter or two, I realized they were going to be too big for the width that I wanted the quilt to be. So I started over and did the math to make all my letter blocks at 3/4 size of the pattern. (It’s not that bad of math, I promise!). After resizing my letter blocks they were 10.5 inches tall. 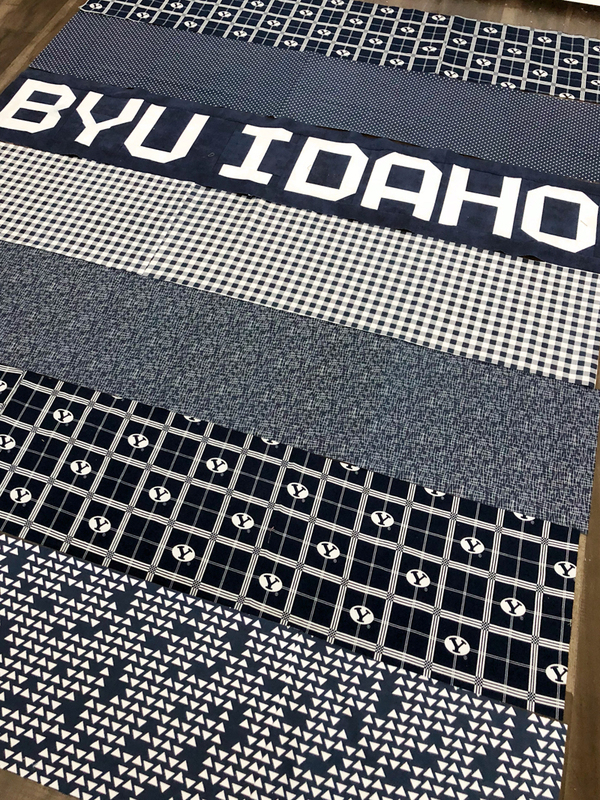 I did put one little spacer piece in-between the BYU and the IDAHO. That piece measured 3.5 X 10.5. I then made all my other rows 10.5 inches to match. 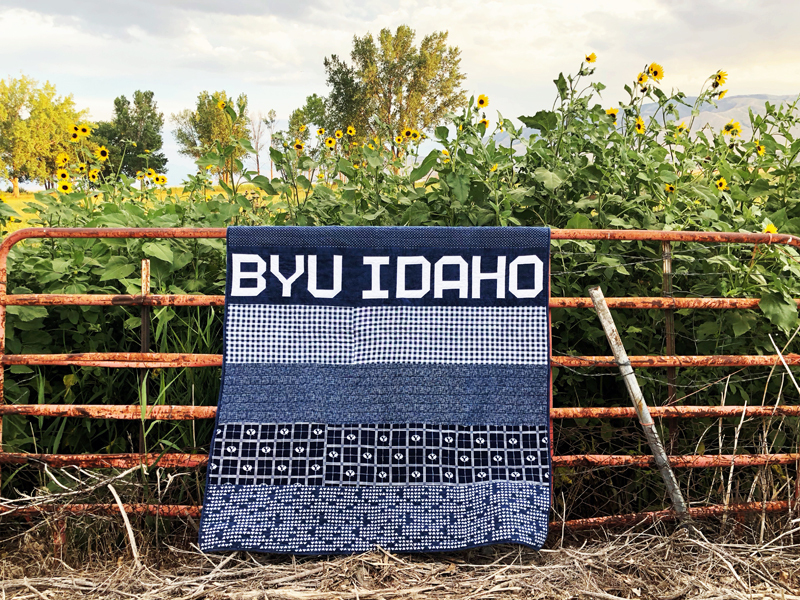 7 rows – each 10 inches finished = 70 inches tall. 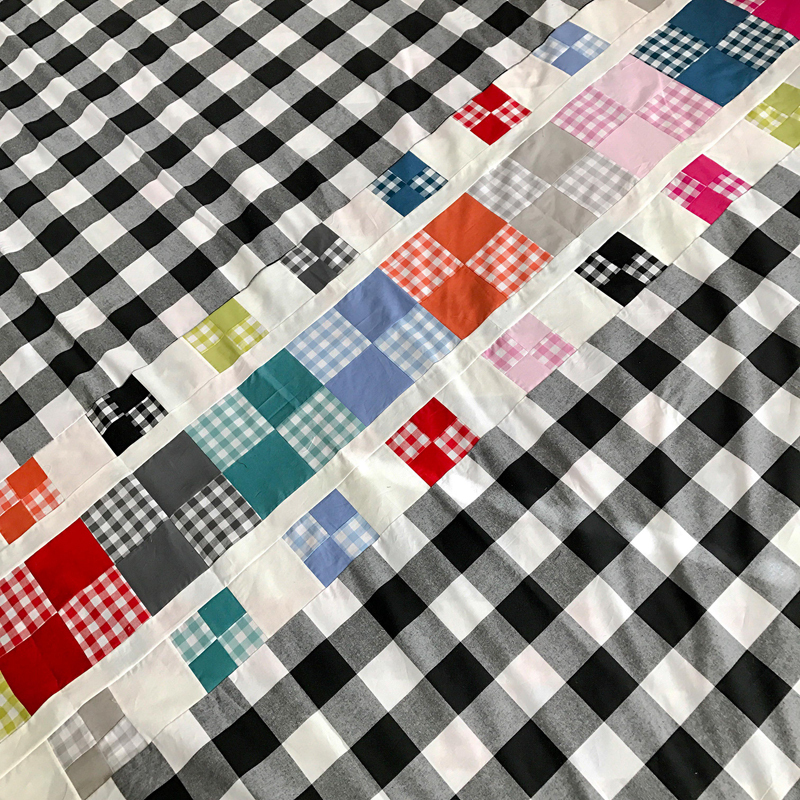 **I wish I would have taken a little more time to match up my printed fabrics when I pieced the rows. I quilted it myself on my standard machine. I quilted straight lines about 2 inches apart. On the row with the letters, I quilted along the letters. Kind of annoying and it takes longer, but I love how it turned out! I’ve had this bundle of Cotton and Steel Ginghams on my shelf for a while now. 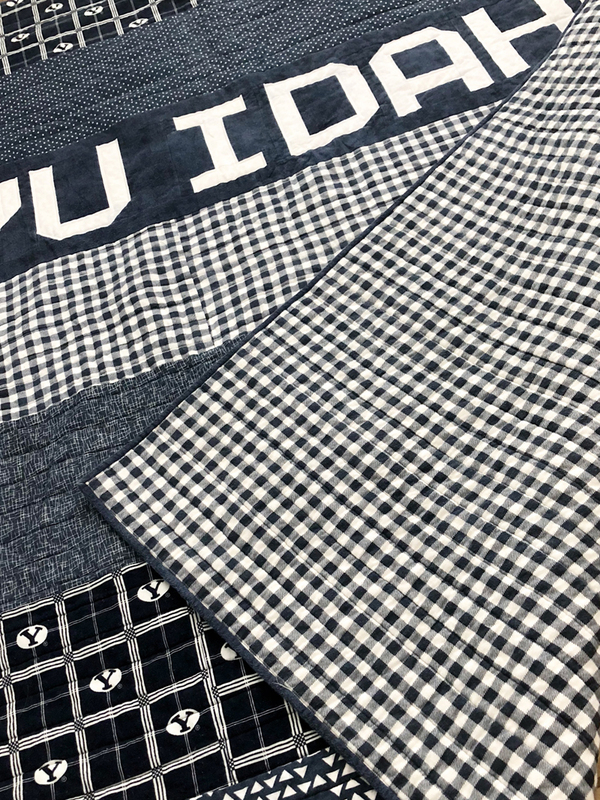 I finally decided what would be the perfect quilt to make with it. 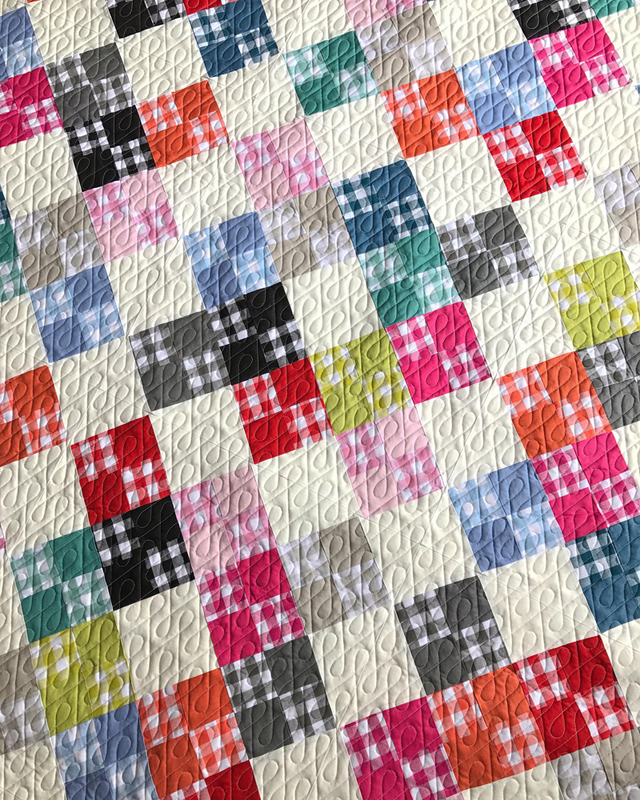 The pattern I chose was Lunden’s Charity Block designed by Erin Jensen (@mommy2lu on instagram). 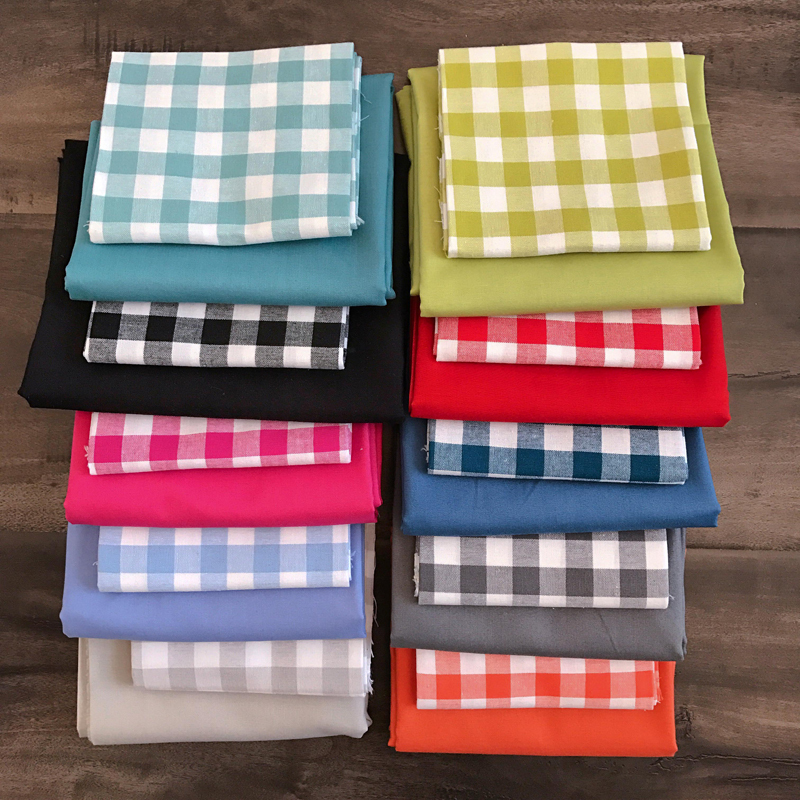 First, I found solids that matched my ginghams. 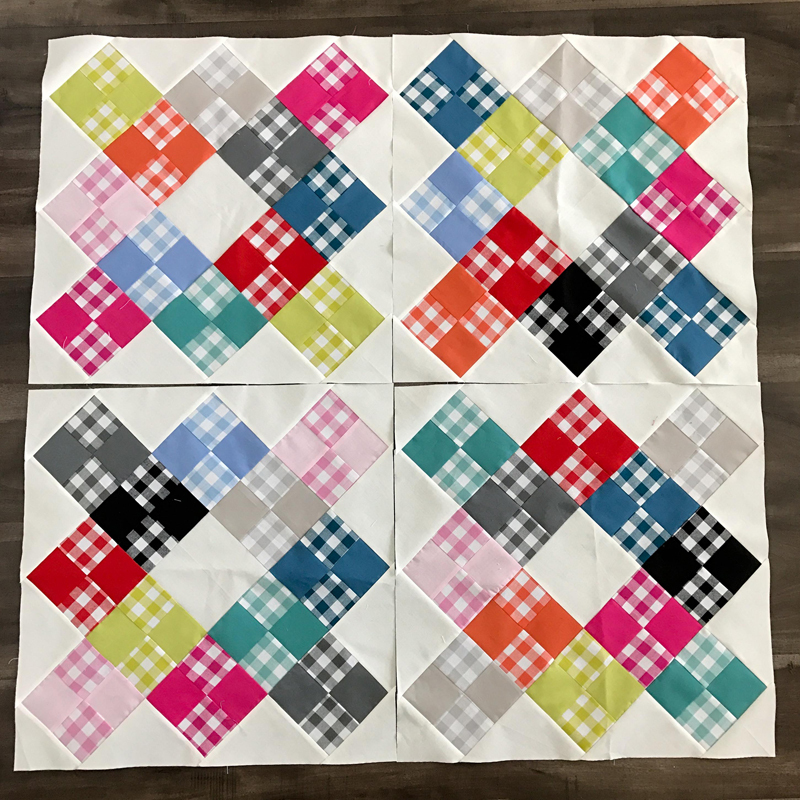 This is such a fun block to make. I just randomized my colors so that all the blocks are different. I ended up making 20 blocks. 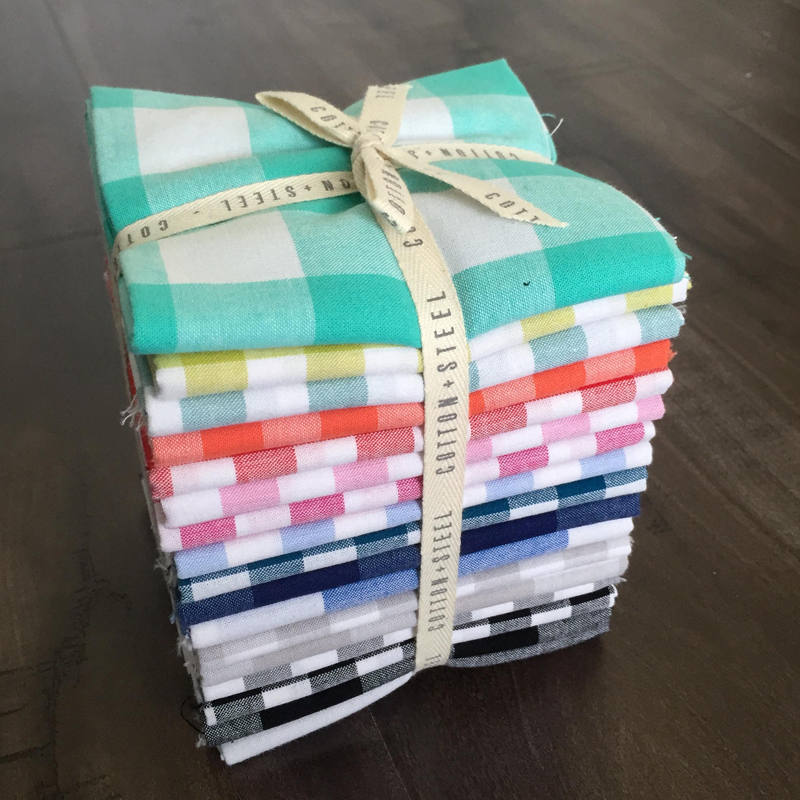 I had so much fun using my leftover fabric to make this fun backing! Check out this amazing quilting done by my friend Kaylene Parry. Trying to take a picture on a windy day is tricky! 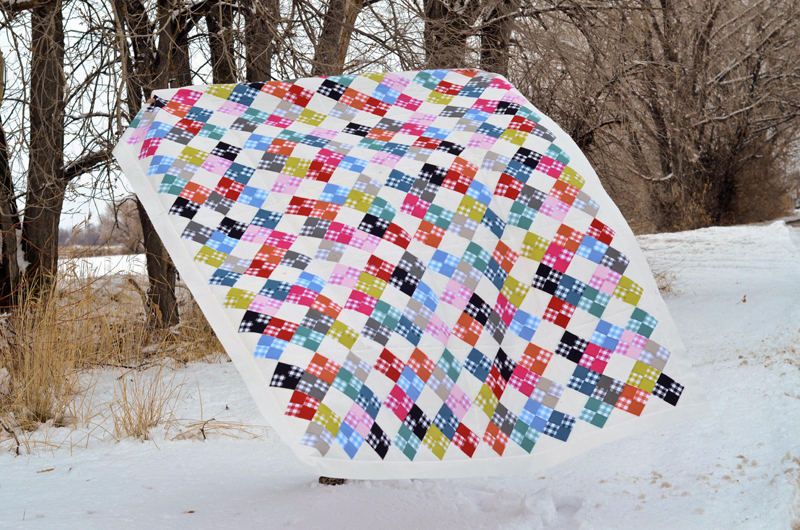 Luckily, you can still see how amazing this quilt turned out. It is my new favorite. 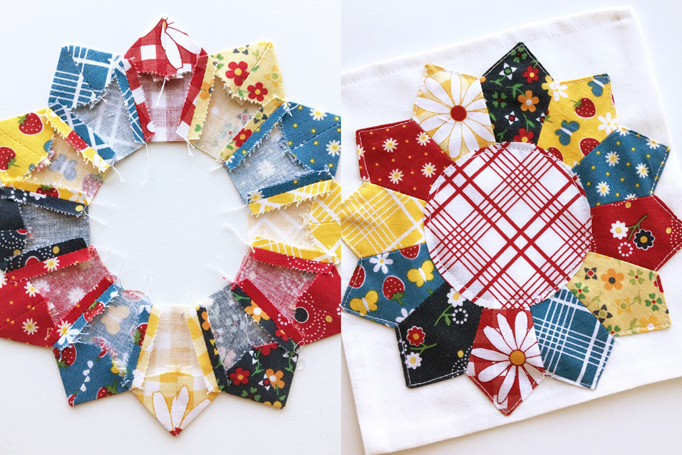 The perfect way to dress up any simple project is to add a dresden flower. Dresden flowers look fancy and difficult, but with the right tools, it’s easy! 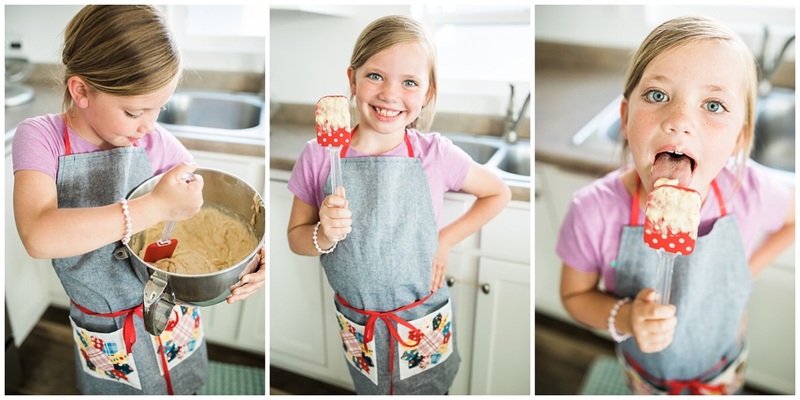 I made this simple apron for my cute niece today, but it needed something to dress it up. 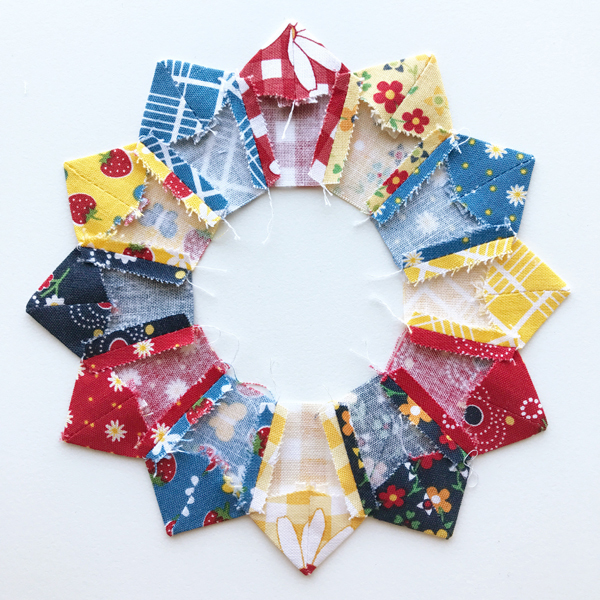 Adding the dresden flowers to the pockets was the perfect finishing touch. To start make (or buy!) 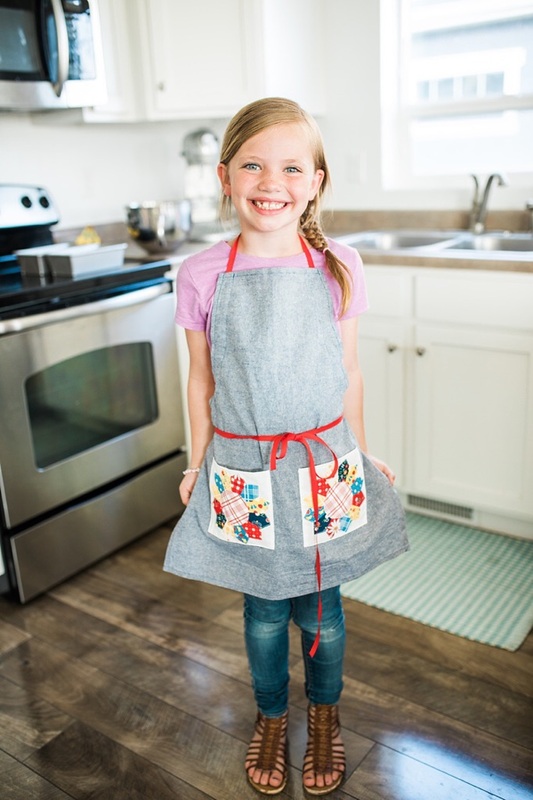 a simple apron. Here are a few tutorials that might help. 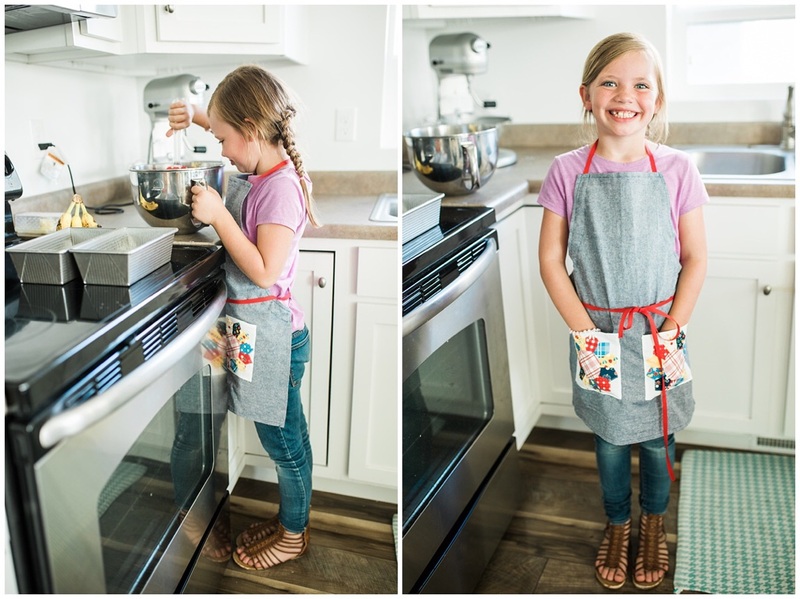 Little Chef Apron, Kitchen Buddy Apron, and Child’s Apron. Now the fun part — making it cute! I cut my pockets 6.5 inches square, serged all 4 edges, and pressed the edges under. Top stitch along the top of the pocket. I used this awesome dresden template from Nancy’s Notions to make the flowers. 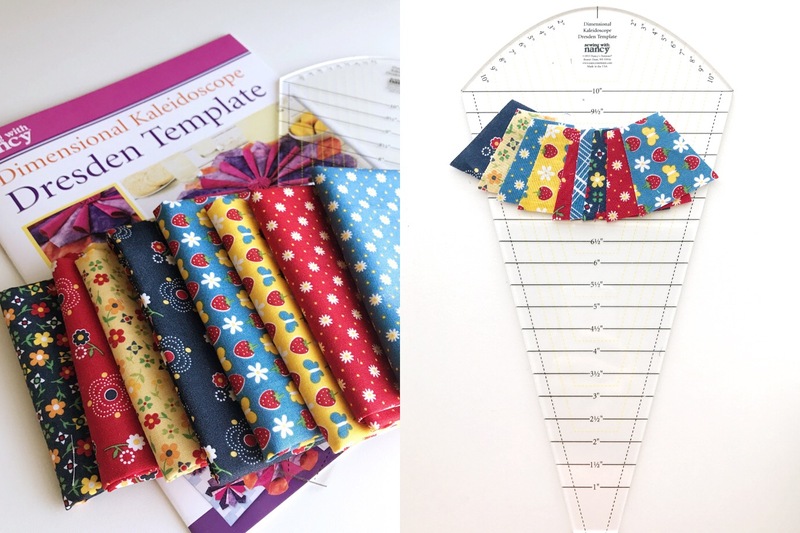 The best part about this ruler is that you can make so many different sizes of flowers, with only one ruler. I cut my pedals 2 inches. It’s a big template, but it still works great for small pieces! It took 12 pedals to complete my flower. The book that comes with the template gives a lot of great tips on how to make your dresden perfect. Here is how the back looks all pressed and ready to go. I top stitched around my edges and added my center circle. Now my pocket is ready to be sewn onto the apron. Now you are ready for fun time in the kitchen. Don’t forget to lick the spoon!